“The 39 Steps?” Do you like to laugh — a lot — in the theater? Then you will love Ken Ludwig’s “Baskervilles” now playing at the McCarter Theatre complex in Princeton through March 29. You loved “Moon Over Buffalo” and “Lend Me a Tenor,” right? He wrote those. And bring the kids. I’ve never seen such a mix of adults and so many young theatergoers — tweens, high schoolers, college students and young adults — as I did last night during the opening at the nearly full 1,100-seat Matthews Theatre space. 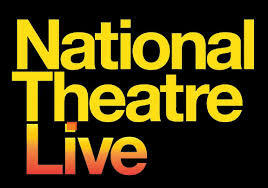 It’s a co-production with the Arena Stage in Washington, DC, where it was presented earlier this year to raves. According to today’s New York Times the show, which made its world debut last year at the New Jersey Repertory Company in Long Branch, was so popular patrons paid $10 to watch it in the lobby from a TV feed. The troupe’s main stage seats less than 50. The play concerns two old-school Mafia guys hiding out after botching an assignment. They cook and swap stories as they await their fate. “It’s really about all the violence we consume,” Lauria told the Times. The show stars Lauria, best known as the dad in TV’s “The Wonder Years,” Ray Abruzzo, who played Little Carmine on HBO’s “The Sopranos,” and Richard Zavaglia, who was in “Donnie Brasco.” Frank Megna will direct. To read the whole story, click here. Beginning Broadway previews Tuesday (March 17) is “It Shoulda Been You,” one of the funniest shows I’ve ever seen. Directed by the super multi-talented David Hyde Pierce, it had its world premiere at the George Street Playhouse in New Brunswick. Starring Tyne Daly and Harriet Harris, the show has more crazy characters than one show should be legally allowed to possess, even if it is a comedy about a wedding day run amok between Christians and Jews. Meanwhile, Paper Mill Playhouse’s “Honeymoon in Vegas” currently is running on Broadway and its very successful production of “Newsies” recently closed. On Sunday, the 77-year-old theater in Millburn opens a new production of “The Hunchback of Notre Dame,” which could be ripe for a Broadway picking. And there is talk that a revamped version of Cole Porter’s “Can-Can,” which opened Paper Mill’s current season last fall, may make a Broadway transfer. Next season, the 1,500-seat space offers two world premiere musicals: “Bandstand,” a story of a mismatched band of WWII veterans, and “A Bronx Tale,” set against a backdrop or organized crime and racial strife in the 1960s. The latter is directed by Robert DeNiro. Yeah, the two-time Oscar winner. Jerry Zaks, the four-time Tony Award winner, co-directs. For the complete season, click here. McCarter Theatre in Princeton, which tonight opens Ken Ludwig’s new take on Sherlock Holmes in “The Hound of the Baskervilles” sent Christopher Durang’s 2013 Tony Award-winning comedy “Vanya, Sonia, Masha and Spike” to Broadway. David Leveaux’s production of “Electra” featuring Zoë Wanamaker moved to Broadway in 1998. And that’s just the latest in a long line for the venerable playhouse that itself is the recipient of the 1994 Tony Award for Outstanding Regional Theatre. “Sherlock” starring Benedict Cumberbatch (left) and Martin Freeman returns to Masterpiece on Jan. 19. Jan. 19 seems a long way off. 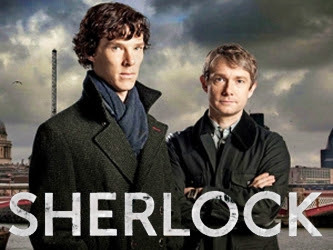 That’s when “Sherlock” returns to American TV as part of the Masterpiece franchise. And before you know it, it will be gone again after three episodes (if past history is future) with another interminable wait for more episodes featuring Benedict Cumberbatch and Martin Freeman. 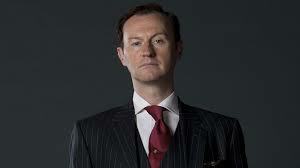 Meanwhile, satisfy your Sherlockian self with this Season Three repeat of a Behind the Scenes peak from PBS.